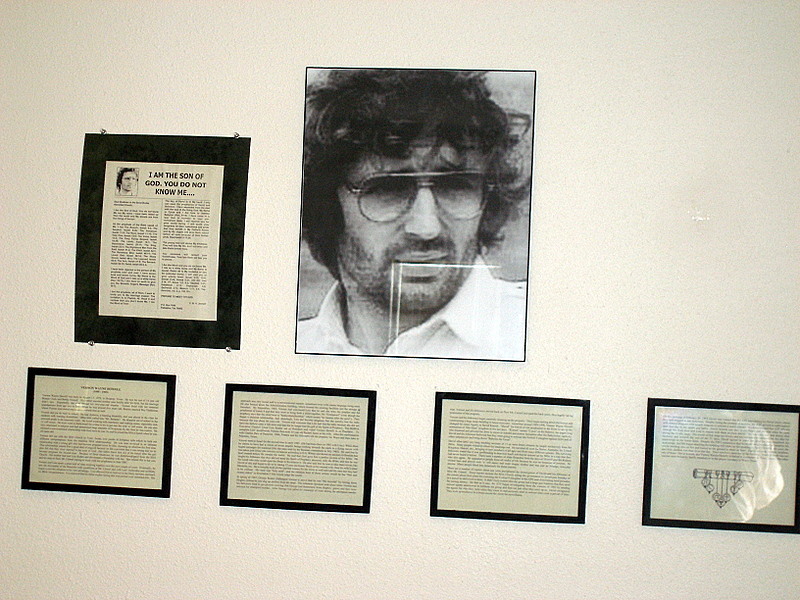 Stephen W. Terrell's (MUSIC) Web Log: WACKY WEDNESDAY: It's David Koresh's Birthday! When David Koresh's birthday falls on Wacky Wednesday, you take heed. So as a second installment to my "Cult Music by Real Cults" series, I'm going to present some songs by the man born Vernon Wayne Howell. Yes, before he went into the messiah business, Howell wanted to be a rock star. However he sounded liked some souped-up, third-rate Dan Fogelberg. I can overlook that though. After all, he inspired the names of one of my favorite bands. Here are some of his tunes. This first one is especially terrible. A crappy recording of a bad band. But at least the lyrics are crazy. Here are a couple of songs about Koresh and the Waco tragedy. What the Hell, here's the Waco Brothers!